Eels can inhabit both freshwater and marine ecosystems. American eels, which are born in the Sargasso Sea, are carried by the Gulf Stream to the Atlantic coast where they find homes in ponds, rivers, streams, lakes and other freshwater bodies. These eels only return to saline waters when they become sexually active and are ready to breed. 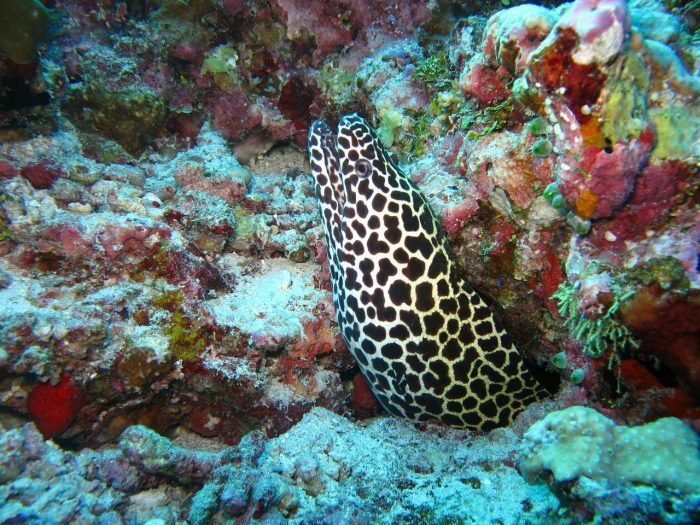 Some eels, such as green moray eels, lead solitary lives, and they are commonly found concealed among rock fissures near shallow waters or where coral reefs are abundant. American eels, which only become active at night, often stay hidden in muddy or pebbly waters during daytime. These eels typically favor murky aquatic environments that flow at minimal speeds.